Christopher Watts is escorted into the courtroom before his bond hearing at the Weld County Courthouse in Greeley, Colo. Charges were filed Monday against 33-year-old Watts in the deaths of his pregnant wife and their two young daughters. 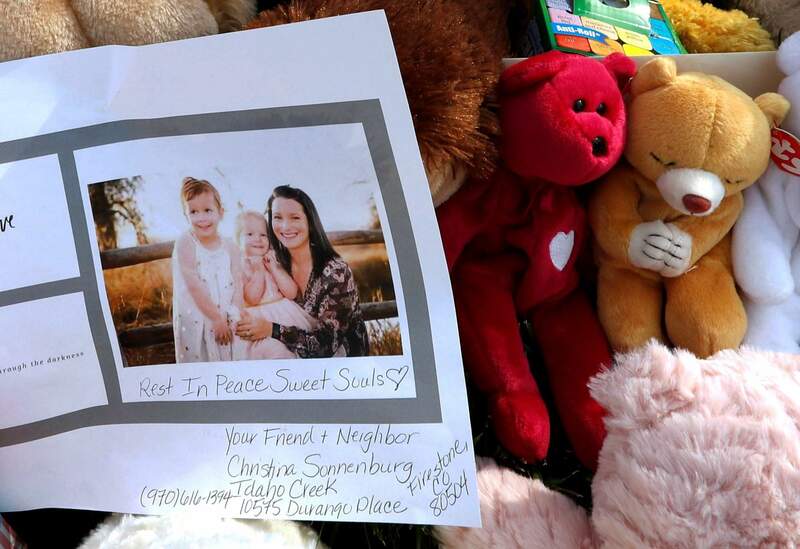 DENVER – Prosecutors charged a Colorado man with murder Monday in the deaths of his pregnant wife and their two young daughters, a crime that left loved ones searching for answers. A photograph of Shanann Watts and her daughters, Bella, 4, left, and Celeste, 3, is shown at a makeshift memorial in Frederick. 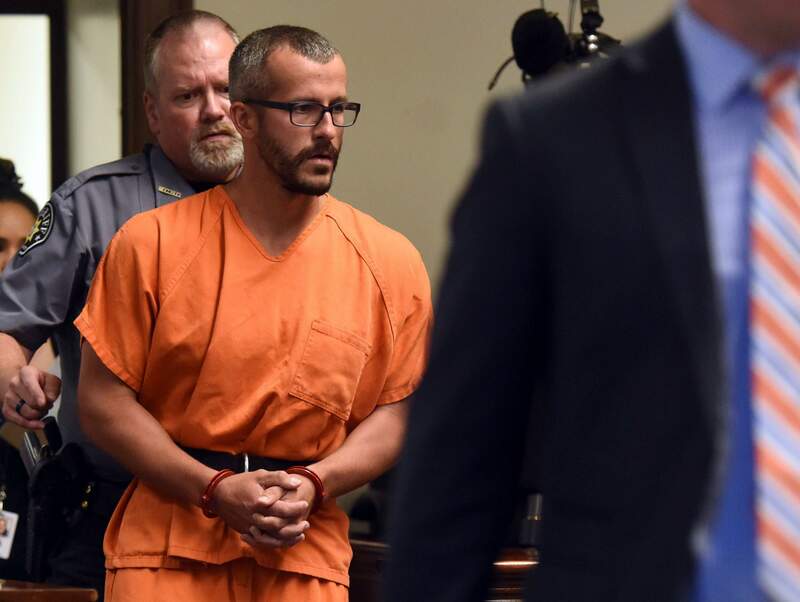 Charges were filed Monday, against 33-year-old Christopher Watts in the deaths of his pregnant wife and their two young daughters. Authorities found Shanann Watts’ body Thursday, buried in a shallow grave near an oil tank on property owned by the oil and gas company that her husband worked for. The bodies of 4-year-old Bella and 3-year-old Celeste were later found inside oil tanks near their mother’s grave. Prosecutors have said they would ask a court to unseal the warrant for Christopher Watts’ arrest after filing charges. He’s being held without bail and will next appear in court Tuesday. The family’s two-story home is just outside Frederick, a small town outside Denver where fast-growing subdivisions intermingle with drilling rigs and oil wells. The bodies were found on property owned by Anadarko Petroleum, one of Colorado’s largest oil and gas drillers, where Watts had worked as an operator. Court documents filed by defense lawyer James Merson said the girls had been submerged in crude oil for four days. A judge on Friday denied a request by Merson to require the coroner to collect DNA from the necks of the children. The attorney’s request suggested that the girls may have been strangled.